They Said the Clinton Economic Plan would lead to a recession. They said we would be greeted as liberators in Iraq. They said the Bush II tax cuts would lead to increased economic prosperity. Instead, we had the Great Recession. They said Obamacare was Socialism. It was based on Romneycare in Massachusetts. They said the Trump Tax Cuts would pay for themselves. They said they are the law and order party. How many of the Presidents people are going to jail? They said climate change is a hoax. How about those ice sheets breaking away at the North Pole? They said there is a crisis on our Southern Border with illegal drugs and an inflow of terror suspects. There are more illegal drugs coming in through ports of entry and more terror suspects coming through Canada. These Republican comments over the last 25 years do not even earlier ones from the Nixon era (“I am not a Crook”) or the 1980s with former President Reagan claiming that trees cause pollution, citing scenes in war movies as actual historical events, or trading arms for hostages in the Iran Contra Crisis. So when Republicans say that Progressive plans to move the country forward like universal health care, affordable college, universal childcare. and combatting climate change through a Green New Deal are socialistic or too expensive, remember history. They wrong then and they are wrong now. 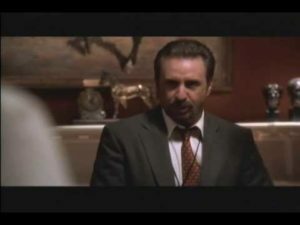 Democrats and Progressives need to pay heed to the youtube link below from the West Wing where Ron Silver, portraying a Democratic campaign consultant to the Bartlett campaign, chastises Presidential staffers for being too afraid to be called liberal for their stands on public issues. Democrats and Progressives need to stop listening to Republican baseless attacks and start taking the fight to them.